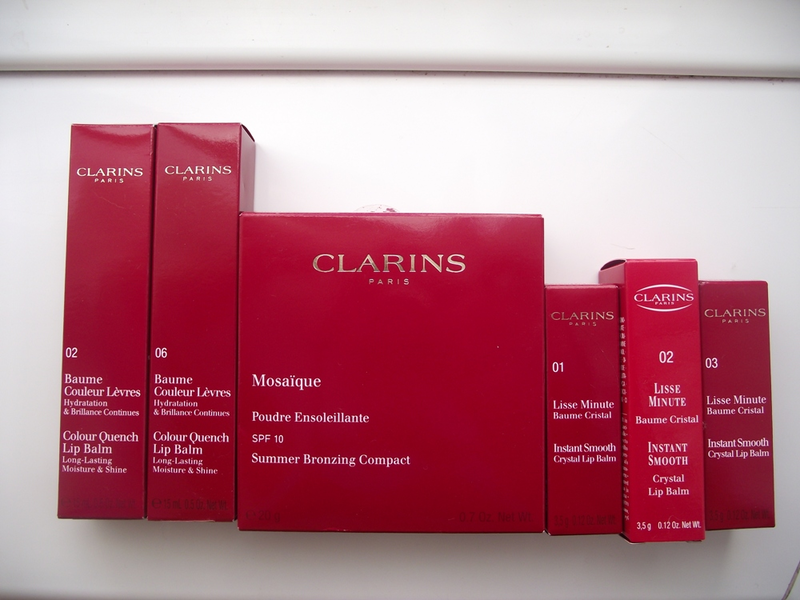 Clarins New Summer Collection has recently launched and there are some stunning products you will not want to miss! Clarins have taken their inspiration from the beautiful deep sea and the intricate beauty of Mosaics. OK so without further a do feast your eyes on this stunning bronzing compact! The beautiful detailing which the compact expells really gives you the feeling of something special inside. £26.00 Are you swooning yet? The detail is amazing and so pretty! Mosaique Summer Bronzing Compact powder is very soft and melts on the skin giving you a matte healthy glow, I have been using this all over and then buffing this into the hollows of my cheek bones. I like how the colour is perfect and does not look patchy, some bronzers look patchy on the skin and the colour can be too orange looking. I was really impressed with the texture and how the powder felt on the skin, especially with me having dry skin this felt great. Clarins have been very clever and added Vitamin E to help the skin whilst also covering skin protection and adding a SPF 10. I recently dyed my hair over the weekend and have had to re-educate myself with colours and looks and am so glad I have this to help give me a nice healthy glow! The size of the compact is impressive also and will certainly last longer than the summer. 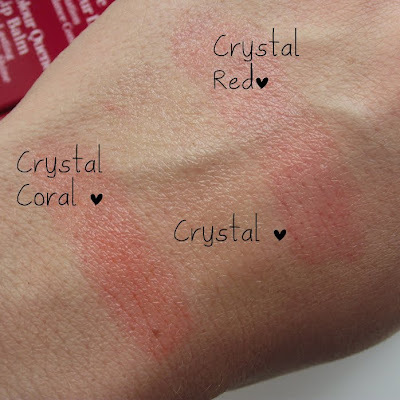 Clarins instant Smooth Crystal Lip Balms make a return this summer so if you missed out on these then be quick or if you tried them and loved them then now is your chance to love them again! These are absolute genius, easy to apply like a lipstick thanks to the shape, a sheer hint of colour and the benefits of a lip balm. What's not to love? There are three shades available Crystal Coral, Crystal and Crystal Red all Limited Edition. The magic behind these special balms are the formulations, the light smooth texture is made by replacing the normal waxes used for a lipstick for Gelled Oils which give that crystal balm appearance. Don't be put off by the deep red shade because these are so sheer and give a soft hint of colour on the lips. Clarins Colour Quench Lip Balm is a new lip balm which is very much like a gloss on the lips but has the benefits of a lip balm thanks to the 100% natural Polymer formulation which gives a non-sticky finish on the lips and delivers instant hydration because of the Mango Oil. Clarins claim that even after a few applications lips feel softer, smoother and more fuller. I totally agree lips feel softer and look more plump. The balms are Cherry scented which is lush for the summer but not an overwhelming scent. I'm glad to say these do not have a sponge tip or a brush applicator, I much prefer the plastic slanted shape which is so much easier to apply and easier to keep clean! I wanted to share some recent photos showing you some of the products. *Mosaique Bronzing Powder all over and used for contouring. *Blush Prodige Miami Pink on apples of cheeks. 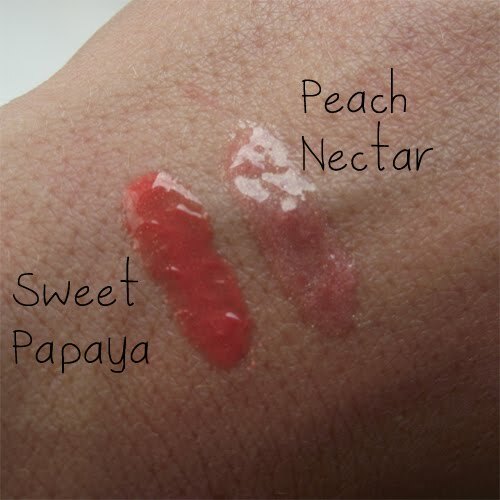 *Colour Quench Lip Balm Peach Nectar on lips. So are you running to your nearest Clarins counter yet? Well hold on because Escentual.com have all the products mentioned above on special offer! So which products stick out for you and will you be picking anything up? I love this collection and so desperately want to buy that Mosaic bronzer it looks so nice!